The Town Hall is open for public use for Birthday Parties, Wedding Showers, Small Weddings, Family Gartherings, etc. 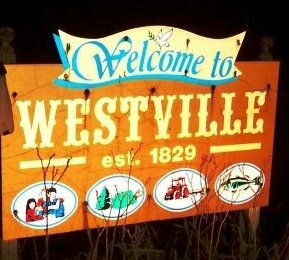 Please contact the Westville Town Clerk for the availability of the Town Hall. Clean up any mess you make. Your cooperation will ensure that the Town Hall will be a pleasant and convenient meeting place for our residents.